I know it's only the beginning of January but what can I say! I've been busy hunting down them bargains! Our local charity has a warehouse and Facebook - excellent combination in my book as whenever goods are dropped off at their warehouse the team photograph them and post their spoils on Facebook and within days (sometimes hours) the goods are gone. Whilst at the warehouse picking up my bargain I came across these picture frames for 50p each! 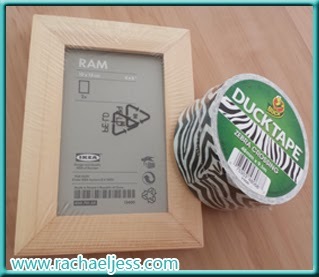 With my duck tape win just before Christmas, I've already decorated one of them with the second one in progress. Also on facebook is a local free up and recycle page and again I managed to bag myself 2 tables which are part of a nest of tables. I feel chalkboard paint and some form of movie theme top may play a part in their redecoration. And finally and the one I'm probably most excited about is on UK hot deals (please tell me you all know about that website!!!!) 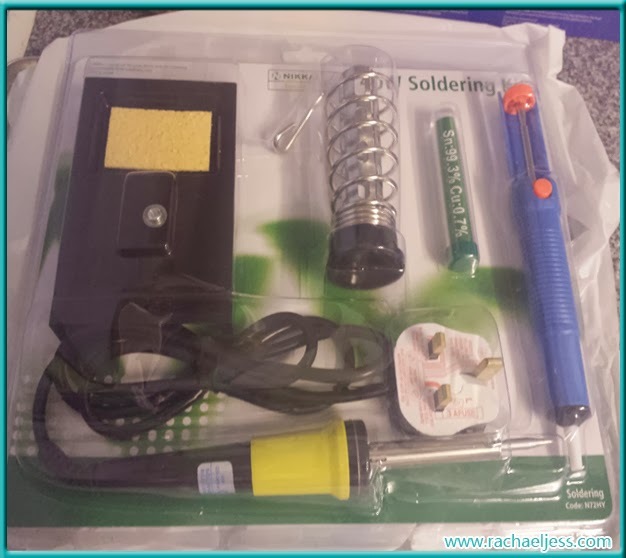 there was a post stating Maplin's were selling their 40w Soldering Kit for £5 - £20 saving. I was only looking at these just before Christmas. So haven't I done well for January all of the above for £26! Bargain.